Parenting in this digital world can be tricky. Navigating the appropriateness, amount and learning benefits between kids and screen time is harder yet. As a parent I get it. We’re all trying to find a balance. A balance between learning and fun, between keeping our kids safe and allowing them to explore the digital world and the list never ends. At the end of the day, most pediatricians suggest that about two hours of screen time is recommended for children and teens and to establish “screen-free” zones at home. The screen time kids do receive should be educational in nature but that doesn’t mean it has to be boring! With a few ground rules and the right software, kids can learn while having fun too. Quality is just as important as quantity. Make sure that the time your child spends with their screen is educational. There are thousands of games and apps that offer a fun learning experience. 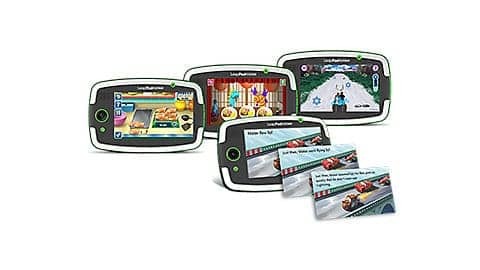 Leapfrog has been know to provide quality, educational content for kids for years. Their library offers hundreds of fun learning games, eBooks, apps, videos, music and more approved by LeapFrog educators. Some of our favorite learning games include the Ready, Set, Kindergarten program which introduces young learners to the kindergarten experience right from home. If you decide to go with a traditional tablet, you will want to purchase an app like OurPact that allows you to control when your child has access to the screen and for how long. You will also want to download software that prevents your child from accessing content that is unsafe. However, for true peace of mind you might want to just go with something like the LeapPad Platinum. It offers a 7in screen for learning, fun and more. 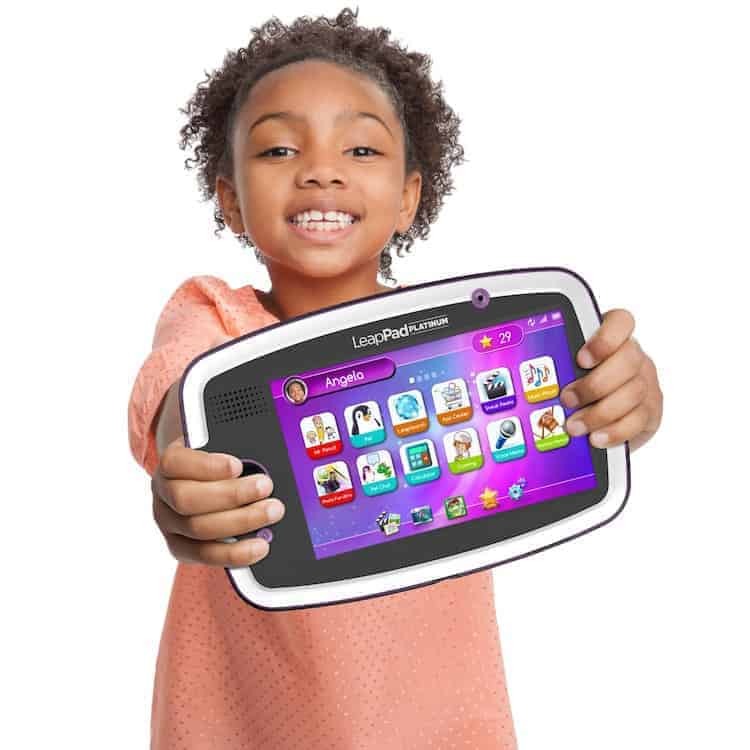 The Leapfrog Platinum tablet offers Wi-Fi with Kid-Safe Web, which is a safe, protected web browser serving up a ton of kid-appropriate videos and more—all reviewed or approved by learning experts. It’s ideal for kids with its large screen, crisp resolution, 2mp camera, 8gb of memory and access to thousands of games online and via the new interactive Imagicards. A child’s brain develops rapidly during these first years, and young children learn by interacting with people. So take the lessons your child is learning online and continue to work with them offline too. In addition to reading everyday, almost everything – even just a walk to the park – can be turned into a learning adventure. Surf and Sunshine participates in the LeapFrog Blogger Program. 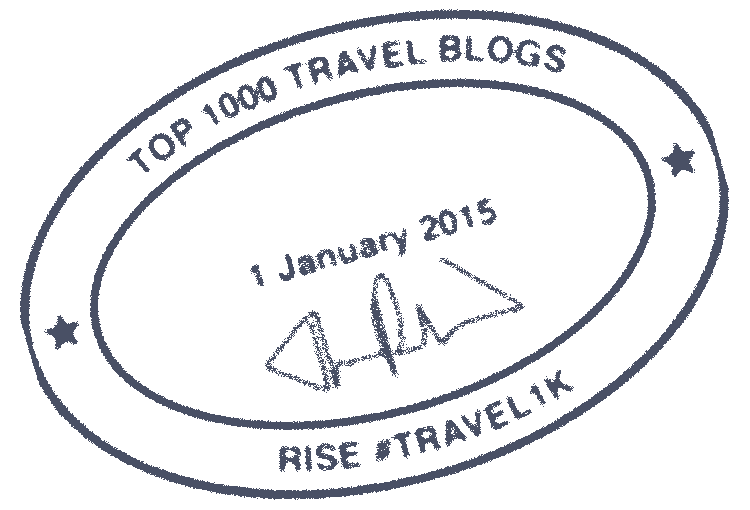 Product and information has been provided for this post, but all opinions remain our own. I love Leap Frog for when my kids are little. They get so much out of it.